This southern part of the Banbury Road was originally known as Park Place. 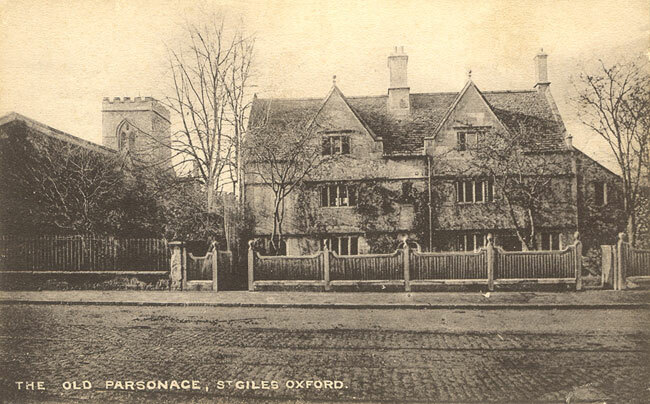 This name was later changed to St Giles’ Road East, and today the address of the Old Parsonage is 1 Banbury Road. The above postcard is postmarked 1906, and the photograph is probably a few years earlier than that. The Old Parsonage stands on the site of an eleventh-century hospital for the care of the poor and infirm of St Giles’ parish. The present building dates from the early seventeenth century, and was built as a house for the priest who had been living in the hospital at the time of its closure. One of the doorways is dated 1659. In the late nineteenth and early twentieth centuries it was used for undergraduate accommodation, and Oscar Wilde and Compton Mackenzie both spent some time here. It is now a hotel with 35 bedrooms. 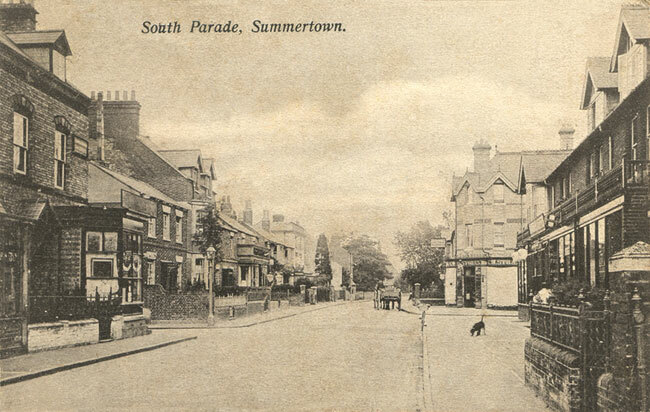 The above postcard shows the Banbury Road at the south end of Summertown in about 1905. 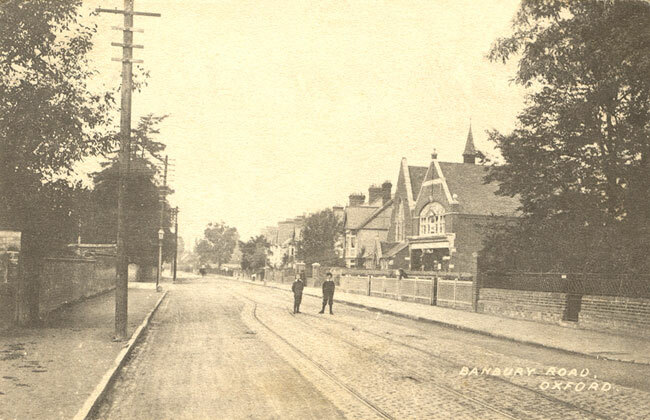 The above postcard shows South Parade in about 1905, looking towards the Woodstock Road. On the left is Middle Way, and on the right is Stratfield Road, with C. W. Strange's grocery store on the corner at 39 South Parade.